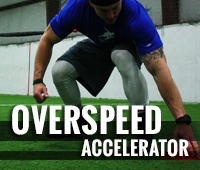 Overspeed Accelerator is an intense training program designed to challenge and enhance speed through overspeed training techniques. 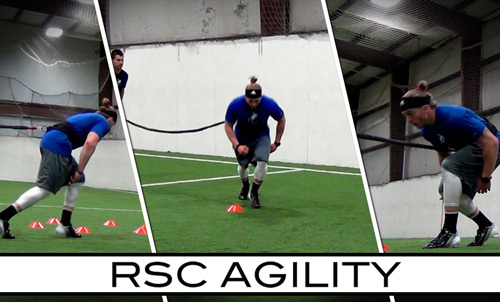 By utilizing the Reactive Stretch Cord you will move through a variety of assisted speed and agility drills designed to build acceleration. Take time to focus on anchoring techniques with the video below. Too much assistance can cause overstriding or breaking in your stride. 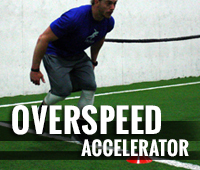 The Overspeed Accelerator video breakdown will show you the proper amount of assistance needed for each drill. 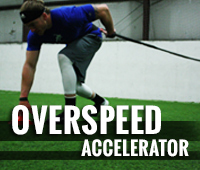 To maximize your training results with the Reactive Stretch Cord Overspeed Accelerator it is essential that you warm up properly. Complete a 5-8 minute dynamic warm up before beginning each training session. 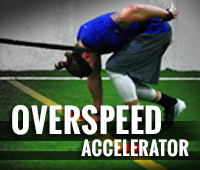 With increased blood flow you will be ready for the intense training of the Overspeed Accelerator. When training with the Reactive Stretch Cord it is also important to check your equipment before every training session to ensure a safe training session. 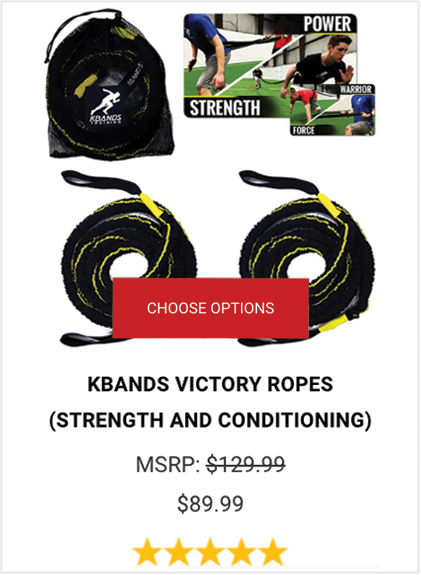 Be sure the Reactive Stretch Cord clips are functioning properly and utilize the Anchor Strap for each exercise. 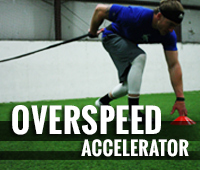 Please contact us by email or by live chat, linked in the bottom left, with any questions you may have about the Reactive Stretch Cord or Overspeed Accelerator training program. Add inches to your jump height with Vertical FX. 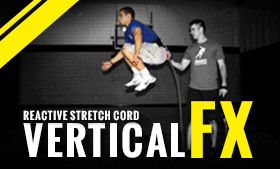 During Vertical FX you will be challenging each plyometric exercise with resistance from the Reactive Stretch Cord. 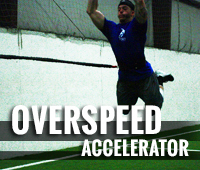 By increasing muscle activation during each jump you will become more explosive. 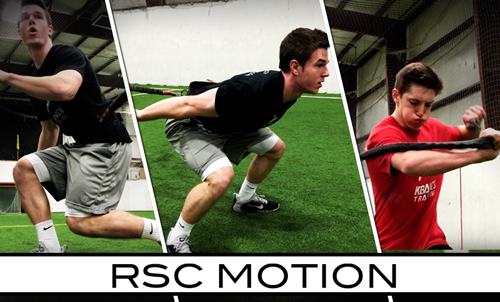 The RSC Motion Digital Trainer is a challenging workout designed to increase core strength, speed, and power. 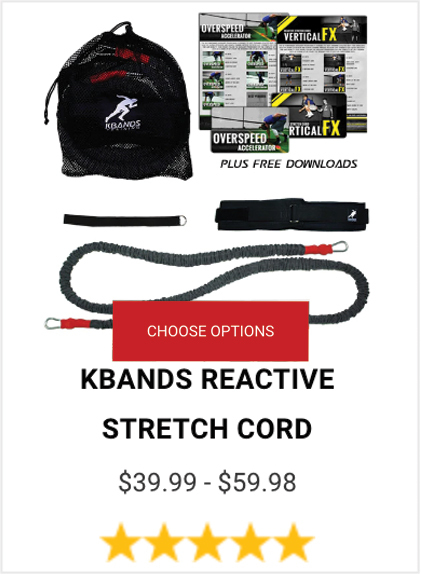 The Reactive Stretch Cord is a dynamic training tool that can be utilized in many different ways to improve athletic performance.